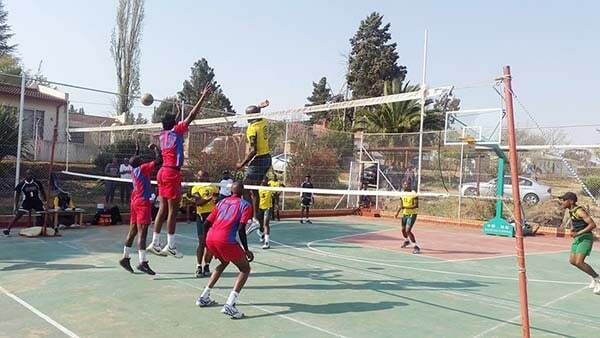 MASERU – The defending men A Division volleyball champions Redskins and runners-up LDF have made it through to the finals after qualifying at the first 2019 mini-league tournament which was held in Hlotse, Leribe last weekend. The finals will be held on the weekend of March 30- 31. Redskins dominated the men Pool A tournament, beating LMPS and Green Spikes 3-0 each, and Mahlaseli 3-1 to set the final of the opening volleyball competition against LDF who beat Ben10 and LUCT 3-0 each, and managed a slender 3-2 victory over Rovers in Pool B. Green Spikes and Rovers will battle-it-out for the third position on the same day and venue. Green Spikes beat LMPS and Mahlaseli 3-0 in Pool A, while Rovers beat LUCT and Ben10 3-0 in Pool B. In the women’ section, Redskins were unstoppable in Pool A when they thumped Green Spikes and Rovers 3-0, and H-Flow 3-2. In Pool B, the defending women champions LDF beat both LMPS and last year’s runners-up Mahlaseli 3-0. The women tournament will continue next weekend in Hlotse, Leribe. “We play our league games in a tournament format dubbed league tournaments and during the course of the year, we hold four league tournaments,” said the Lesotho Volleyball Association (LVA) public relations officer, Buller Phalatse. Phalatse said the second league tournament will be held before June with third either in August or September and the last in November. LVA league winners and runners-up in men and women category represent the country in the Zone 6 Club Championship. At last year’s Zone 6 competition, Lesotho was represented by Redskins and LDF as men volleyball champs and runners-up respectively, with LDF and Mahlaseli as women winners and second-placed. Phalatse said Lesotho clubs did not perform well in the Zone 6 competition last year. “Our teams did not perform well at last year’s Zone 6 competition which was held in Durban, South Africa. None of our teams went beyond the first round of the tournament,” he said. In 2017, Redskins finished the Zone 6 competition on position three and qualified for the 2018 African Club Championship which was held in Cairo, Egypt. However, Redskins were knocked out of the continental showpiece by Ahly of Egypt with a 3-0 score-line (25-5, 25-9, 25-16) to book the quarter-final place.